The latest adaptation of Agatha Christie’s 83-year-old classic whodunit, this lavish, star-studded film is old-style entertainment. Director-star Kenneth Branagh lets the story unfold with attention to detail while filling the screen with eye-catching images, from the spectacular mountain settings to the opulent costumes. And while the story is too familiar to stir up too much suspense, it’s played with a strong sense of emotional resonance. And the moral question is provocative. The Orient Express sets off from 1934 Istanbul with a colourful collection of passengers. 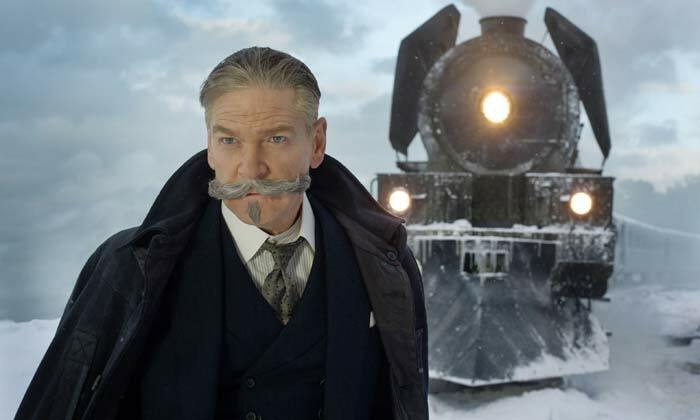 A last-minute addition is noted detective Hercule Poirot (Branagh), who has just solved a thorny mystery in Jerusalem and is now heading to London. Even though he shouldn’t be working, he begins to weigh up the odd collection of passengers around him, including a gangster (Johnny Depp), countess (Judi Dench), widow (Michelle Pfeiffer), governess (Daisy Ridley), maid (Olivia Colman), salesman (Wille Dafoe), assistant (Josh Gad), butler (Derek Jacobi) and doctor (Leslie Odom Jr.). Then in the middle of the night, one of them is violently murdered. And when the train becomes lodged in a snowdrift, Poirot has the time to dig further into each person’s clearly suspicious back-story. What makes this story so enduring is the way it taxes Poirot’s carefully ordered sense of the world, leading to a conclusion that challenges the standard ideas of right and wrong. This adds an intriguing timely relevance to the themes, drawing the audience in further than expected for such a familiar story. And Branagh’s performance is terrific. In the earlier scenes, he plays up the character’s witty banter and inflated self-image. Later, he gets to reveal some strikingly dark feelings. This gives a sense of gravity to the entire film, while each of the other cast members creates a vivid, fully formed character around him. The stand-out in the ensemble is Pfeiffer, whose blowsy American has the most intriguing trajectory. But everyone is superb, adding little touches that play on the idea that each passenger has a motive for murder. And the big revelation plays out in a grandly cinematic style. But then, the entire movie feels like an old-school classic, with generous production values that create an epic sensibility. So it doesn’t really matter that a couple of action scenes aren’t actually very exciting, or that the quality of the actors leaves us wanting more of all of them. Films are rarely made on this kind of sumptuous scale, and it’s nice that Branagh also leaves us with something to think about.